Take Blue Book Practice Test #1. Correct and score it. That score is your baseline. In the breakdown in the back of my book for Test #1 (sample of Test #3’s page here), highlight every question you got wrong, and write down the techniques and relevant page numbers. Work through every chapter (sample chapter) that you’ve written down more than once. Do the short drills at the end of each chapter. Use my handwritten solutions to understand any mistakes you make. THIS IS IMPORTANT: Go back to the Blue Book now, and redo every question in the test you got wrong, making efforts to apply the concepts you read about in the book. New techniques won’t be easy or feel natural the first time, but if you want to change your scores, you’re going to have to change your approach. Read the Strategies chapter in my book. It’ll give you something as you do all the actual math work. You need to know how the test is designed, and how to use that to your advantage, and how not to fall into some of the most common traps. Take Blue Book Practice Test #4. Yes, I know this is out of order. Only tests #1-3 have fully accurate scoring tables, so save #2 and #3 for the end of your prep. For this test, record your score as the exact middle of the range of scores you get from the scoring table. Repeat steps A-D for Test #4. Do Diagnostic Drill #1 in my book. Use the answer key and technique guide at the end of the drill. Make special note of problem types you’ve been missing over and over again. At this point, it’s safe to call those weaknesses. Reread the chapters corresponding to your weaknesses again, and use the guides at the end of each chapter to do all the problems contained in Blue Book Tests #7-10 that require those techniques. Take Blue Book Test #5. Again, record your score as the middle of the range. Repeat steps A-D.
Do Diagnostic Drill #2 in my book. Repeat steps a and b above. Take Blue Book Test #6. Repeat steps A-D, recording your score as the middle of the range. Take note of any weaknesses that persist. Use the guides at the end of each chapter aimed at your weakness to revisit EVERY question from Test #1 and Tests #4-10. Take Blue Book Test #2. You’re back to real, previously administered tests now, with accurate scoring tables. Take note of your improvement from the first test you took, and highlight any areas that still require attention. 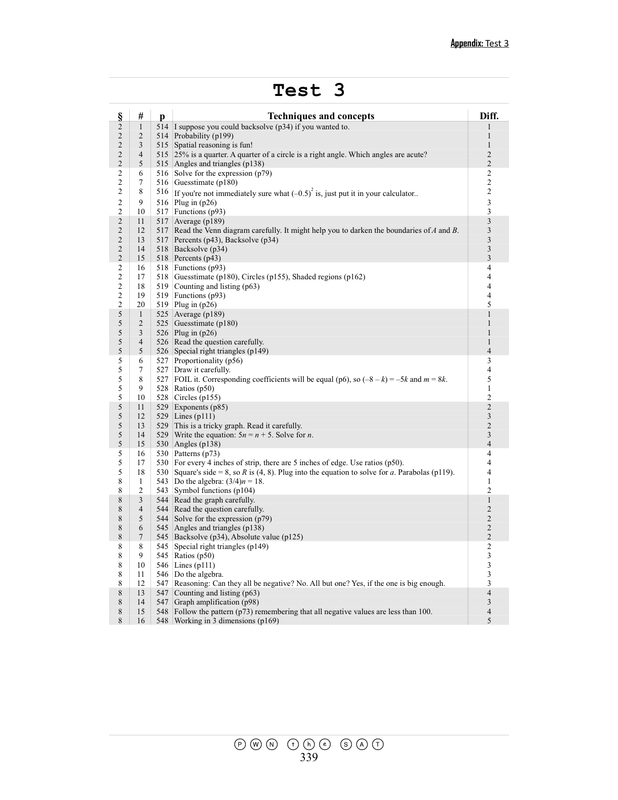 Reread the chapters for any remaining weaknesses AGAIN (yes, I know you’re rereading them over and over again) and revisit the relevant questions in every test except Test #3. OPTIONAL: Take Diagnostic Drills #3 and #4 in my book. These drills are hard, so if you’re not shooting for super-high scores, you needn’t drive yourself crazy here. Take Blue Book Test #3. Time it so that you’re doing this a few days (NOT the day before) your SAT. You want this to be an accurate prediction of your score on test day. Think of it like your dress rehearsal. Get in there and PWN the SAT for real. Do it. There are 6 full tests in this plan. It’s not something you can do overnight. If you want to do well on the SAT, you need to devote significant time to the task. I think 2 months is the minimum amount of time you should spend on the process. This is obviously just a plan for the math section. You might want to devise a similar plan for the other two sections, using resources like The Ultimate Guide to SAT Grammar, which contains a similar blue book breakdown for writing questions. As I said above, I don’t believe in a one-size-fits-all approach. If this seems a bit too chaotic and unfocused for you, that’s OK. I think this plan will work well for some people. If you have questions as you go, ask me, or check the Blue Book Solutions list to see if there’s already a good explanation for your question available. I might edit this page now and then, based on feedback I get from readers (both tutors and students). So if you think I’m missing something, comment away! Just out of curiosity, but what if we already took BB tests #1-4 already? Well, then you already have a headstart on identifying your weaknesses. Record all your wrong answers in the Breakdown section in the back, and then replace those tests with other College Board tests (like the free ones listed here, or the ones from The Official SAT Online Course). Of course, this is an “alternative” plan, so the other way to go is just to read the book front to back and then use it to review as you take practice tests. Will be sure to buy the book now. Is the book just mostly strategies or does it have some practice exercises/drills along with concepts in it too? Awesome, I hope you like it! It’s got a whole bunch of practice questions. Each strategy/concept chapter concludes with a minidrill of 5 or 6 questions, and there are 4 longer diagnostic drills at the end. All told, the book contains about 230 practice problems. 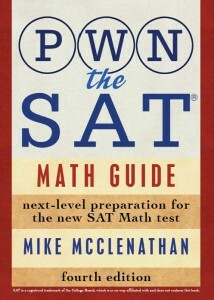 Just to clarify, PWN the SAT corresponds with the Official SAT Study Guide 2nd Edition correct? I know potential score improvement is highly dependent upon ones dilligence, but do you think it is possible to raise a 660 to a 700 in 2 months? I need a little inspiration so any stories you have about students improving would be greatly appreciated. Yes, the 2nd Edition (or the DVD edition, which is exactly the same except for the DVD). Thanks for the prompt reply. Just ordered it off of Amazon and will be receivng it in the coming days. Those testimonials are outstanding! 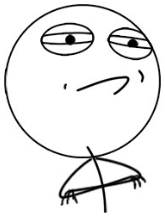 This may be the first time I have ever felt semi-excited about studying for the SAT. Thanks so much for ordering the book! I hope it serves you well, and that in a few months you’ll be able to leave a similar testimonial. As you study, don’t hesitate to post questions at qa.pwnthesat.com. I’m here to help. Hi, I am an extremely lazy person, but very good at math, so I was just thinking studying from your book as my only resource. Is it possible to get a high score in the SAT Math from studying from your book, and your book only? Yes, that’s very possible, although I’d recommend you at least take an official practice test or two before your actual test to make sure you’re comfortable with section pacing, etc. Hi, I want to know if this breakdown can also be used for the 1st edition of the Official Study Guide? Yep! Tests 4–10 in the 2nd edition Blue Book correspond to tests 2–8 in the 1st edition. The only test that you won’t get a breakdown for in the 1st edition is the 1st test. Thanks, I’m also wondering if I should start off using your math guide book even though I’m weak at math? If the stuff you’re reading around this site makes sense to you, then you should be OK with my book.